About 50 million people worldwide have dementia, and Alzheimer's is the most common type, affecting 5.8 million people in the U.S. 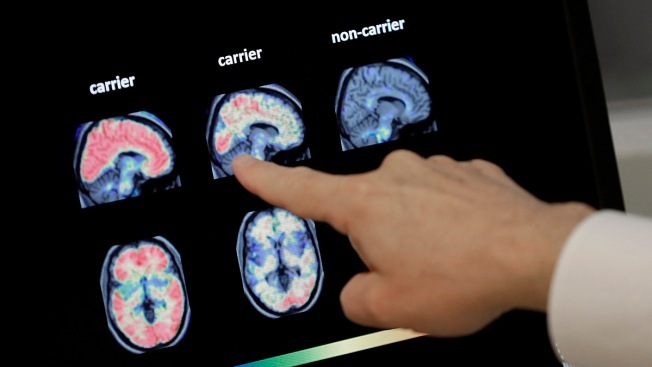 In this Aug. 14, 2018, file photo, Dr. William Burke goes over a PET brain scan at Banner Alzheimer's Institute in Phoenix, Ariz. An Alzheimer’s Association survey being released Tuesday, March 5, 2019 found about half of seniors say they’ve ever discussed thinking or memory with a health provider, and less than a third report ever getting formally assessed for cognitive problems. Few seniors get their thinking and memory abilities regularly tested during check-ups, according to a new report from the Alzheimer's Association that raises questions about how best to find out if a problem is brewing.